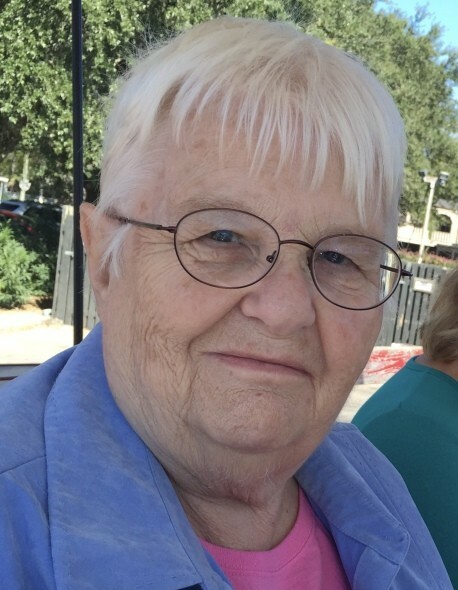 Janice Marie Brigham, widow of Dorland D. Brigham, passed away peacefully at her home in Bluffton, SC on Monday October 1, 2018. Janice loved life, loved her family and friends, always with a sacrificial love. She was always there to help others in need. She, in return, was dearly loved by all who knew her. Janice was born in Mackinaw City, Michigan on January 14, 1941 to the late Eugene Olsen and Adalaide MacLean Olsen. In addition to her parents and husband, Janice was preceded in death by her son, David Brigham, brother, James Eugene Olsen and sister, Shiela Richert. Janice is survived by her son, Mark S. Brigham; daughters, Julie Spencer (Gary) and Debra Pinckney (Mercer); sister, Linda Glein (Lou); grandchildren, Cristin Barna (David), Kelly Reinink, Roshelle Howe (Marty), Holly Jameson (Adron), Garrett Spencer, Mark Brigham Jr. (Betty), Leonard Brigham, Daniel Brigham (Annika) and Mariah Brigham and twelve great grandchildren. Funeral services will be held at 3:30 pm on Thursday, October 4, 2018 at Red Dam Baptist Church, Hardeeville, SC. The family will greet friends beginning at 3:00 pm at the church on Thursday.